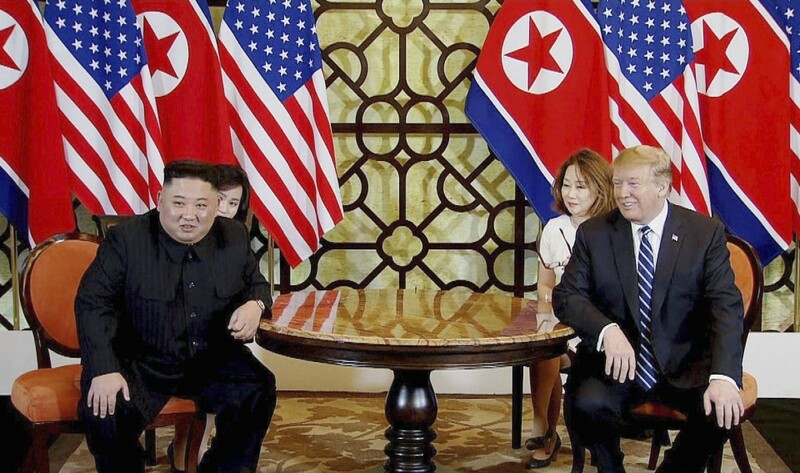 North Korean leader Kim Jong Un has urged the United States to shift its stance in nuclear talks by the end of this year, saying he is eager to meet again with U.S. President Donald Trump depending on the attitude Washington adopts, state-run media reported Saturday. Kim said he is willing to hold a third summit with Trump if the United States adopts an appropriate attitude, the Korean Central News Agency said, adding Pyongyang will await a "bold decision" from Washington to alter its approach to the ongoing denuclearization talks. "We will wait for a bold decision from the United States with patience until the end of this year, but I think it will definitely be difficult to get such a good opportunity as the previous summit," Kim was quoted as saying by KCNA. Trump said in a Twitter post Saturday that "a third summit would be good." He also said, "I agree with Kim Jong Un of North Korea that our personal relationship remains very good, perhaps the term excellent would be even more accurate." Kim's remarks came after Trump and South Korean President Moon Jae In agreed in Washington on Thursday that they will continue their dialogue with Kim in an attempt to achieve the denuclearization of North Korea. Speaking to reporters at the outset of his latest meeting with Moon, Trump said a third summit with Kim "could happen" but the process to make it a reality would not be "fast." In his speech, Kim said if there is written consent "favorable for the interests of both sides and acceptable to each other," he will sign an agreement with the United States without reservation. But he added that "this depends on in what position, and with what calculation method, the United States would come forward." This year's Supreme People's Assembly, convened on Thursday, was closely watched amid expectations Kim would map out a new diplomatic policy. All eyes are now on whether Washington will move to revive the stalled talks following Kim's speech. It was the first time a North Korean leader had made a policy speech at the assembly since Kim's grandfather -- the country's founder Kim Il Sung -- did so in May 1990, according to Radiopress, a Tokyo-based agency which monitors and analyzes official media reports from Pyongyang.